East Wing01263 715779work01603 870304fax Self-cateringThis historic house dates from the early 1800s and around it radiates wide-spanning parkland. Decorated in a beautifully traditional style, this property provides a high standard of living with its spacious and light rooms, comfortable furniture and its extensive gardens. Exploring the grounds of the property may lead guests to a lake where they can spend the day admiring the wonderful scenes of the countryside. • Other: Towels. Travel cot. Fuel for open fire provided. Notes: Owner's dog has access to grounds near front of property. • Outdoors: A sitting area with garden furniture at the front of the property. Use of the homeowners tennis court when available. 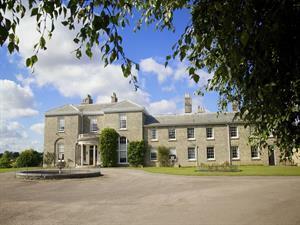 Hoveton Hall runs a number of events throughout the year that guests can attend free of charge. East Wing offers weekly bookings starting on Saturday. This historic house dates from the early 1800s and around it radiates wide-spanning parkland. Decorated in a beautifully traditional style, this property provides a high standard of living with its spacious and light rooms, comfortable furniture and its extensive gardens. Exploring the grounds of the property may lead guests to a lake where they can spend the day admiring the wonderful scenes of the countryside.